For our crafternoon (yay!) 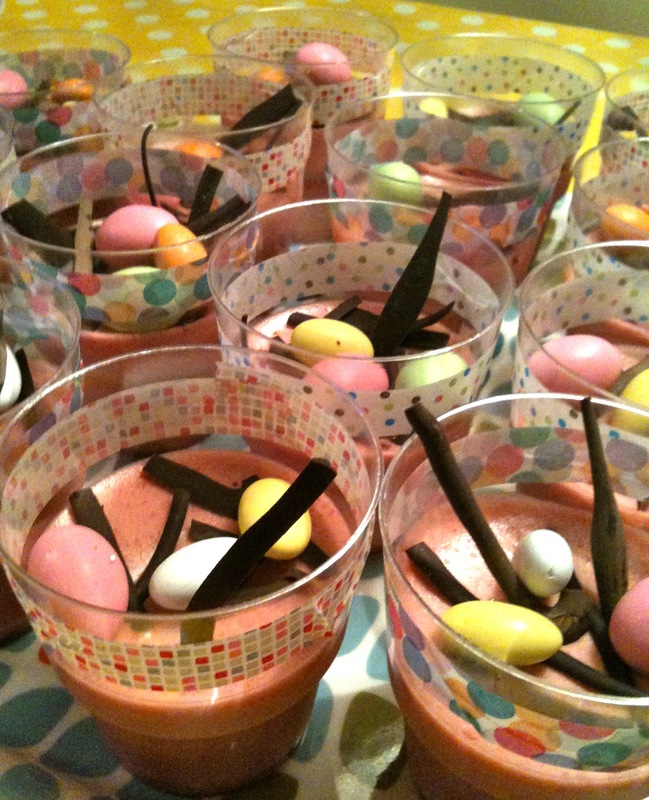 last Saturday, I made the yummiest raspberry mousse ever (recipe in Swedish found here). 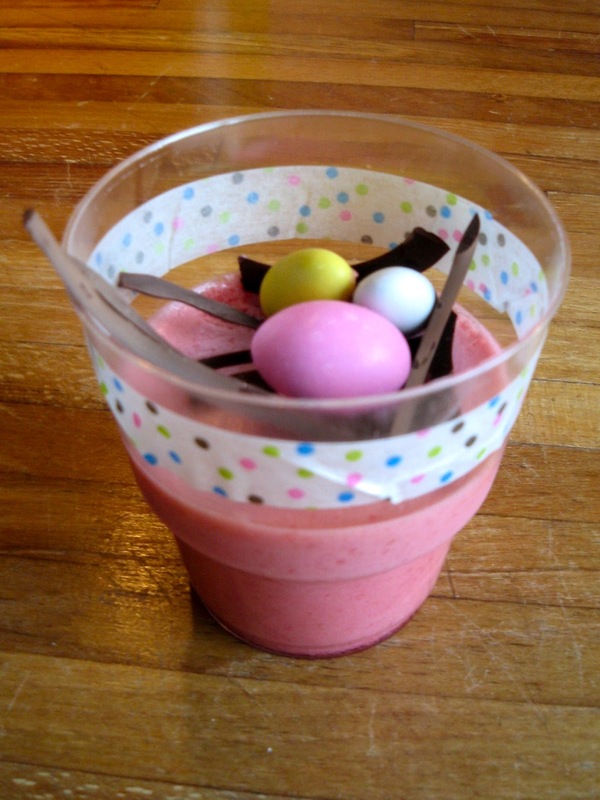 Helena at Craft & Creativity came up with the idea of decorating regular plastic cups with washi tape, and it felt appropriate to put a candy egg bird's nest on top. The gorgeous gorgeous washi tape is from Bookbinders Design. Summary in Swedish: Efter påskpysslet i lördags åt vi påskmiddag allihop, och till efterrätt blev det bubblig hallonmousse (se recept här) med ett fågelbo med godisägg på toppen! Washitejpen är från Bookbinders Design.